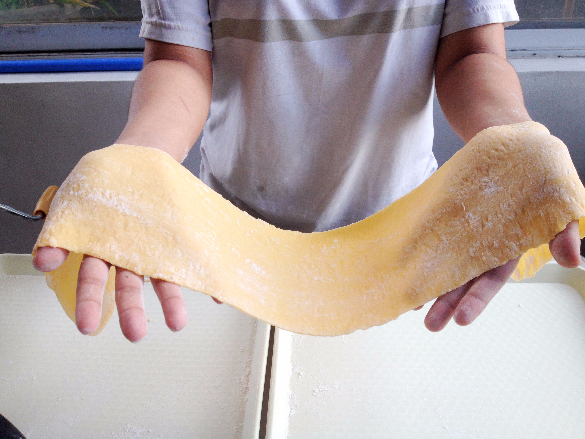 “This is so cool!” I remember saying this to my eldest sister while I was rolling the pasta dough through the machine. 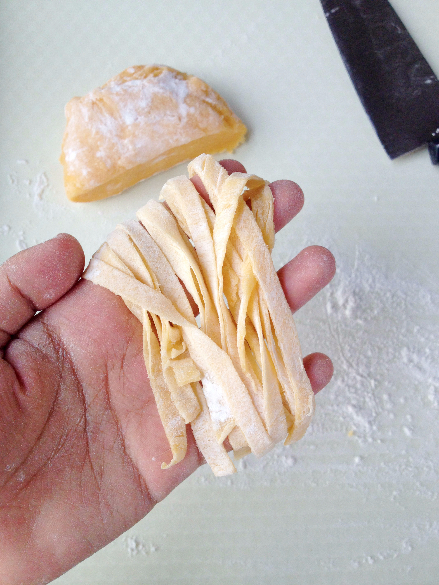 Making pasta from scratch has always been a fun and interesting experience for me even though it requires more effort compared to boiling raw, store-bought noodles. 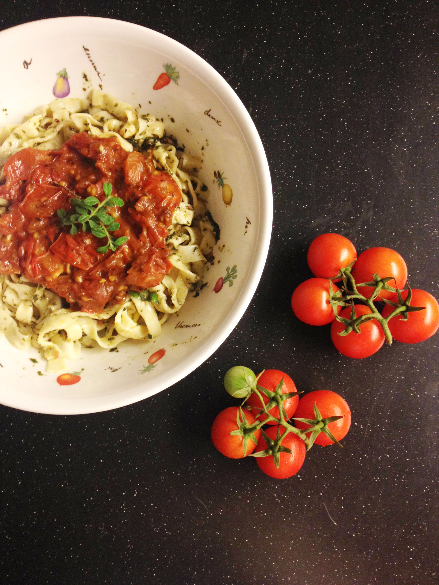 So, when I recently craved for pasta, I decided to hang out with my pasta machine again. 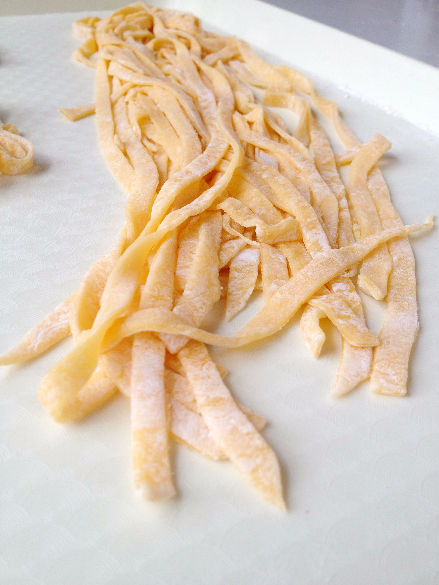 While I was combining the flour and eggs, I already imagined the long streaks of pasta dough smoothly making their way out of the machine. However, after cutting the first two pieces of dough, my sister and I noticed that parts of the dough got stuck in the machine. It created a mess because they were stuck in between the rollers and we had to poke and push them out using a pointed knife/chopstick. 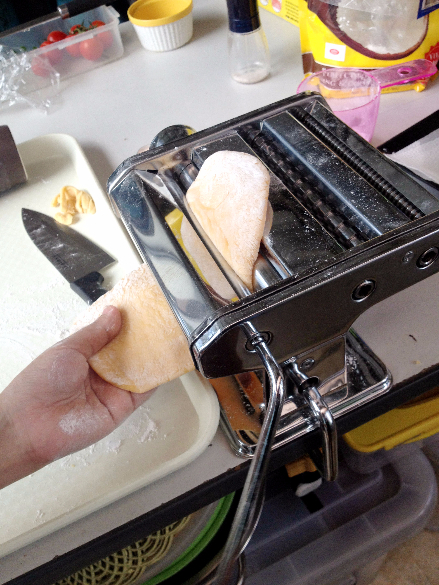 Also, it was very crucial for us to thoroughly clean the pasta machine because if we left parts of the pasta dough on it and they dried up overnight, the hardened dough may eventually cause damage to the machine when we try to use it again. 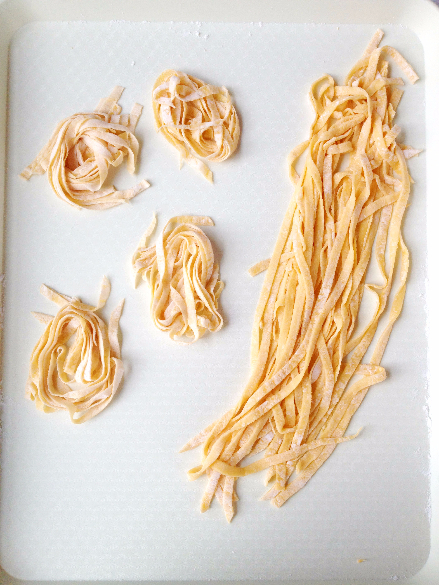 During that time, I was already starting to change my mind about cooking homemade pasta because I was afraid that I would end up wasting ingredients, my time, and effort. 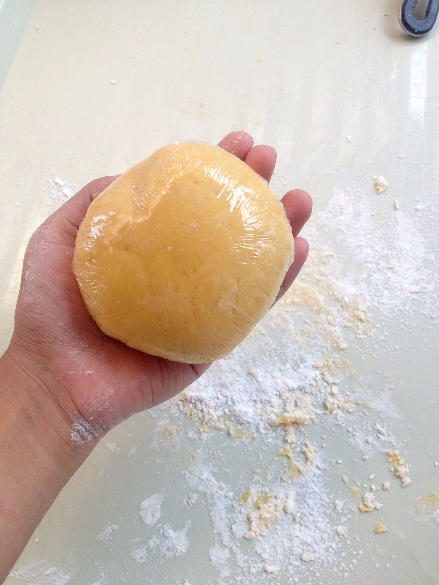 But somehow, with the help of my sister, we continued to remove the bits that got stuck, sprinkled more flour on the rollers and dough, and proceeded with the next pieces of pasta dough. After rolling each piece of dough, I made sure to sprinkle enough flour on the machine to help roll the dough more smoothly and it worked! 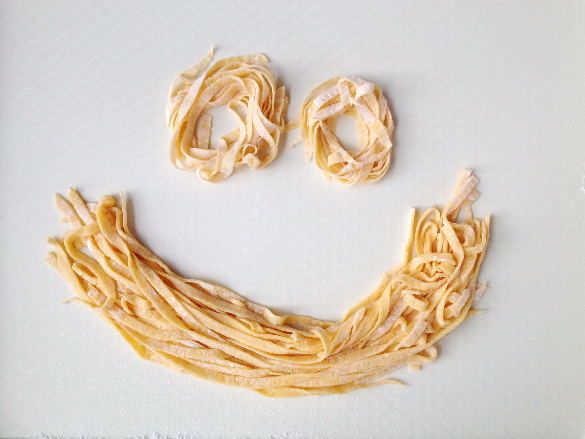 By God’s grace, I was able to finish rolling and cutting the pasta dough and I boiled the noodles in time for dinner. 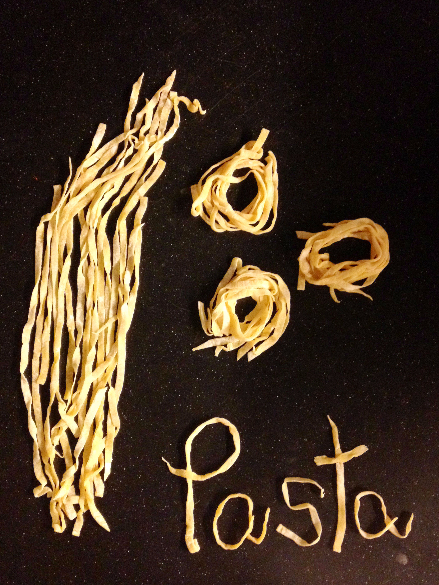 Making pasta from scratch reminded me of a struggle that I face every now and then. 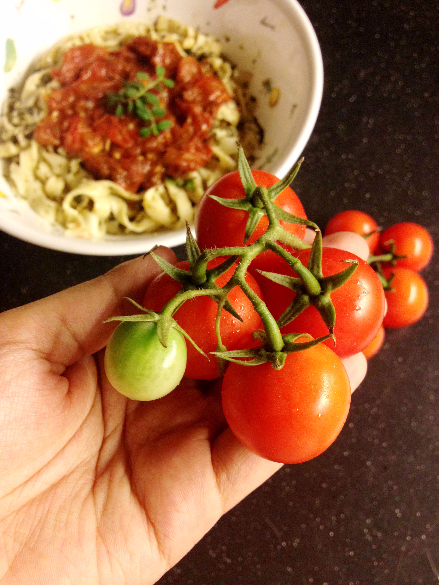 I noticed how I was easily discouraged when things didn’t go the way I expected them to. 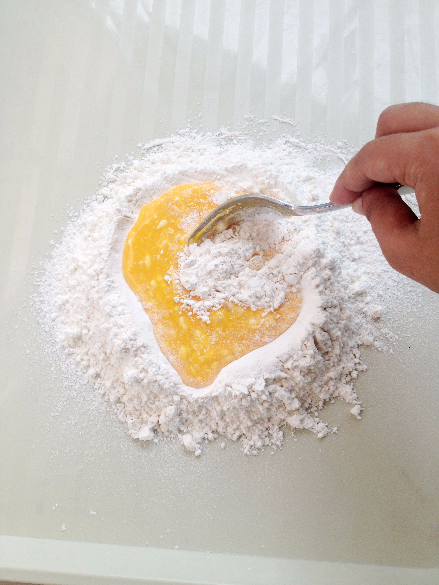 When I made a mistake of not putting enough flour on the roller, it became such a hassle for me to clean up my mess and to start over again. In the same way, I realized that whenever I focus on my weaknesses, my past failures, and the things that I’ve done wrong, I allow these things to rob me of the joy and hope that I have in God. As mentioned in the verse above, we have hope in God knowing that his mercies are new every morning. Even if we fall or lose sight of Him every now and then, He is able to strengthen us and help us get back up again. “We lose our way, we get back up again. It’s never too late to get back up again. 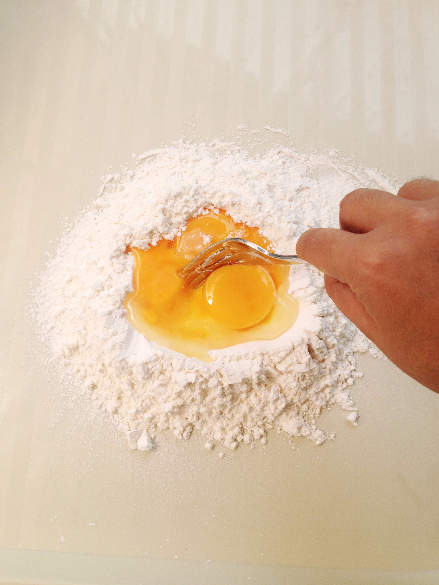 Pasta Dough = 2 cups of flour and 3 eggs.